VIP Music are proud to present the highly anticipated brand new smash hit single released by DJ Raj entitled “Ishq” featuring the legendary Rahat Fateh Ali Khan!! 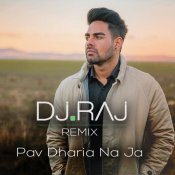 DJ Raj releases his brand new Desi Remix of Pav Dharia’s smash hit single “Na Ja“, available for FREE DOWNLOAD!! After previous successful single releases such as Jago and Nachdi DJ Raj is back with a brand new single entitled Tere Bin featuring Pritam!! ARE YOU DJ Raj? Contact us to get a featured artist profile page.